360 Acre Showplace, Highly Improved, Highly Productive. Crossed fenced into 13 pastures with 11 ponds. I mile paved frontage on HWY 16 and 1/2 mile road frontage on both 330 Rd and 340 Rd. total of 2 miles road frontage. 2 Large barns, one new steel contructed 80' X 80' the other is also steel contructed and about the same size. Numerous steel pipe corrals and pens, 5 large shelter sheds in pastures. Steel Round Pen and Horse Stock. 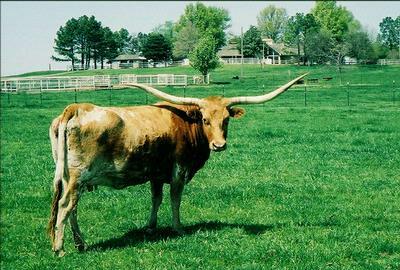 Ideal set up for Longhorns or other livestock, or for future development. Set up so just the 2 of us can handle everything done here. We put up our own hay & pasture the entire ranch. Runs over 150 pairs year round. Grasses include burmuda, rye, clovers & fescue for year round grazing, and we usually no-til wheat into the pastures each fall for extra grazing. Excellent fencing. 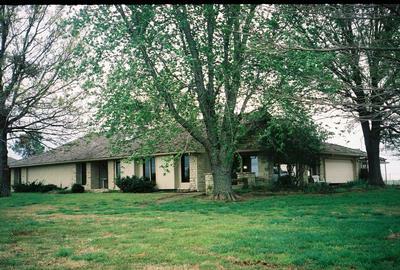 5 wire, steel T posts & Steel Pipe Corners. .
***Beautiful 3400+ sq ft Upscale Home*** 4 bdrm 2 1/2 ba. ***Large open floor plan, 2 living areas, huge master bdrm, 2 skylights & approx. 20 ceiling to floor windows, oversized laundry room,with lots of cupboards. ***2nd home***located behind main house with large carport in between 3 bdrm 2 bath, Large open living-dining area with vaulted ceilings. 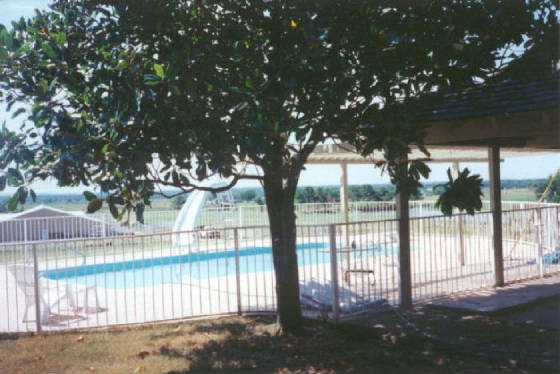 Large covered deck on south side, overlooking ranch. Currently used for Mother-in-Law. 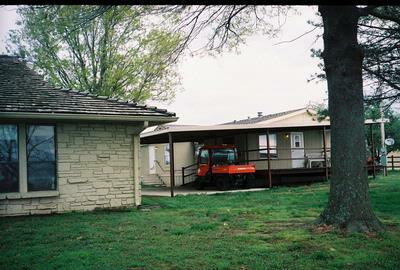 2 storage buildings. 4 Gated Entrances. Easy to find just 20 miles West of Muskogee on Hwy 16. Or 12 miles East of hwy 75 on Hwy 16. ***Natural Gas Well *** FREE Natural Gas to Both Homes. Owner conveys all minerals owned. Some of the Cattle will be For Sale also. 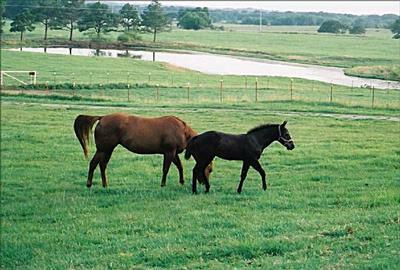 Most all the photos of cattle on the website were taken on the ranch here and shows many areas of the ranch and pastures. 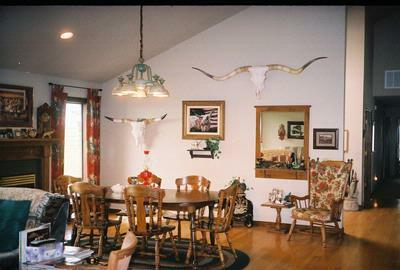 THIS IS TRULY A TURN KEY WORKING RANCH. For more information , please e-mail us at lwrlonghorns@aol.com Shown By Appointment. Photos below and more can be emailed. 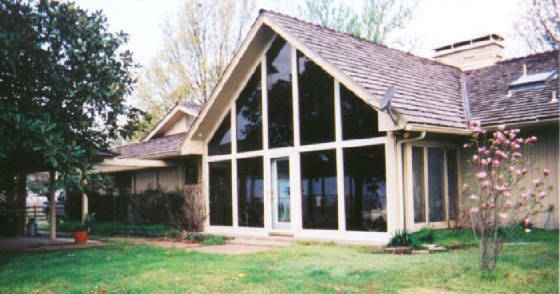 South side view of the house - over looks the entire ranch. Pasture East of barns looking North toward homes. 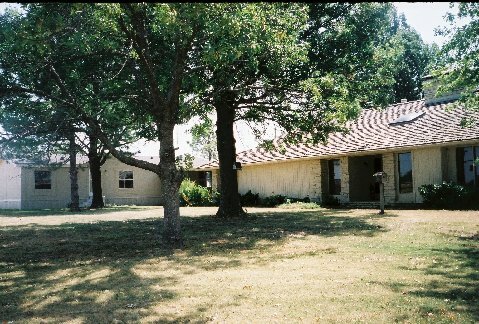 Below is North side of 3400 sq ft Ranch House. Above showing NW side of mobile and Below is SE side of home showing where mobile home is located. 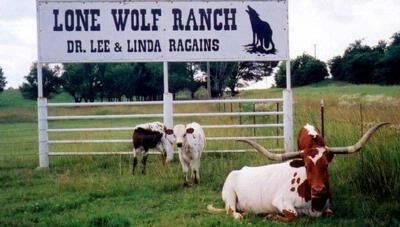 Ranch sign on south side of HWY 16.